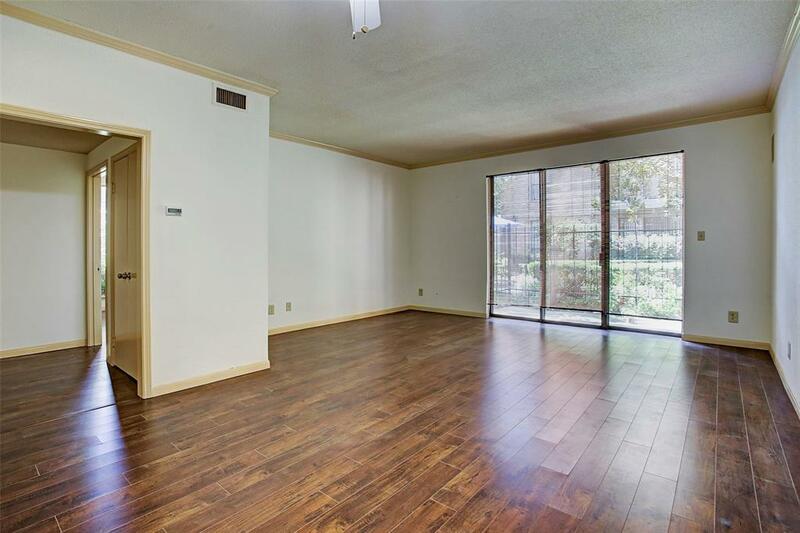 Natural light fills this 1st floor, roomy condo. 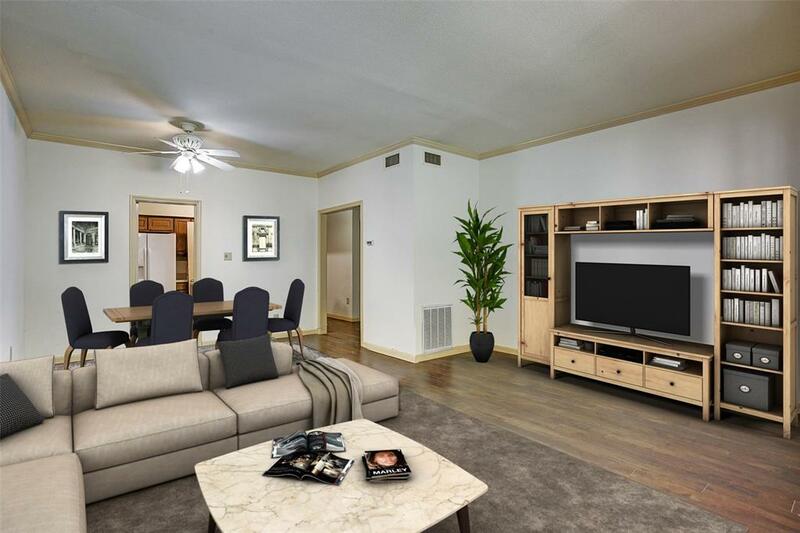 It's large living / dining area lends itself to numerous ways to set up your living space. Enjoy your morning coffee on your private patio that overlooks a lush, beautifully landscaped courtyard. Kitchen with pantry and additional storage in the utility room located inside the unit - toss in your laundry and go! The assigned parking spot is conveniently close to the unit so transferring items from your car into your home is easy. 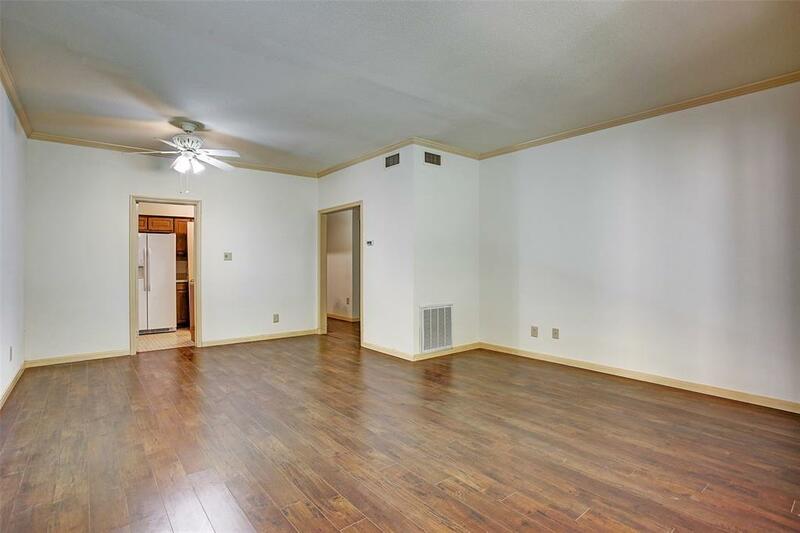 New paint and new wood floors throughout. Fridge, washer & dryer are included in the sale. Two POOLS in are located within this complex. 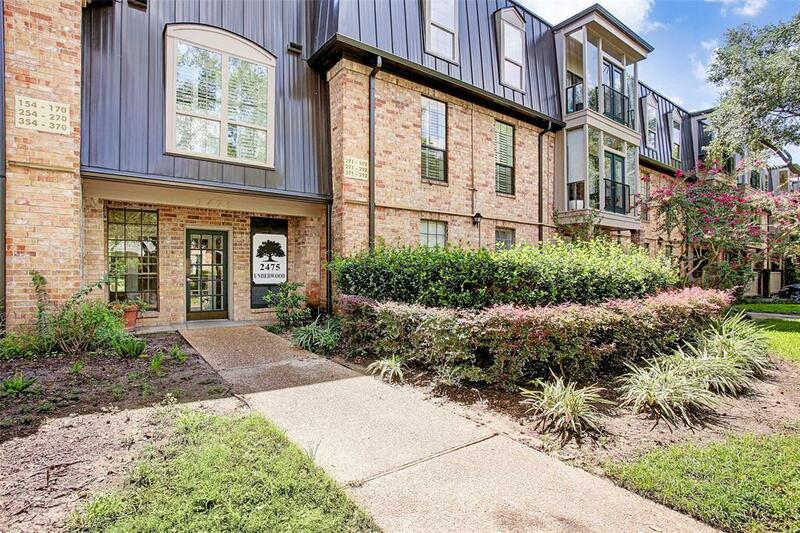 Walking distance (less than 2 miles) to Med Center, Rice Village, SHOPPING, DINING, and ENTERTAINMENT. Enjoy a nice stroll along the Braes Bayou HIKE and BIKE TRAIL located just across the street.